Former Italian prime minister Silvio Berlusconi repeated accusations yesterday (14 May) that he had been forced out of office at the height of the euro zone crisis in 2011 as the result of a plot by European Union officials. Berlusconi’s comments followed the publication of a book by former US treasury secretary Timothy Geithner which suggested that the US government had been asked to help force Berlusconi to resign as the crisis escalated in late 2011. “At one point that fall, a few European officials approached us with a scheme to try to force Italian Prime Minister Silvio Berlusconi out of power; they wanted us to refuse to support IMF loans to Italy until he was gone,” Geithner wrote in his book, Stress Test: Reflections on Financial Crises, extracts from which appeared in the Italian press this week. Berlusconi resigned in November 2011 after months of tension on financial markets led to fears that investors could refuse to buy Italian bonds, sending the euro zone’s third-largest economy into default and breaking the single currency apart. The 77-year-old media tycoon, currently serving a community service sentence after being convicted of tax fraud last year, said the book showed there had been a “clear violation of democratic rules and an attack on the sovereignty of our country”. “The plot is an extremely serious piece of news which confirms what I’ve been saying for some time,” he told Rai state television in an interview. 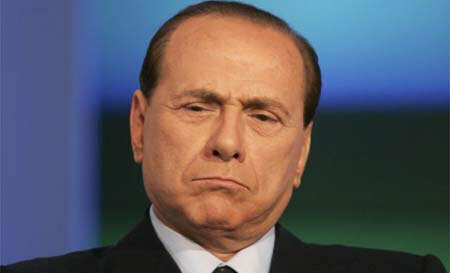 Berlusconi, the leader of Italy’s main centre-right party, has frequently accused European authorities and Italy’s head of state, President Giorgio Napolitano, of mounting a “coup” to remove him from office in 2011. He made similar accusations earlier this year following the publication of a book based on interviews with his successor Mario Monti and others, which said Monti had been sounded out as a potential replacement premier months before Berlusconi’s government fell. On Wednesday, Berlusconi repeated accusations that Napolitano had been in contact with Monti, the former European Commissioner appointed to lead the technocrat government that succeeded Berlusconi, well before the final crisis. Napolitano issued a statement on Wednesday saying he was unaware of any pressure exerted on Berlusconi, who resigned after a split in the centre-right camp left him without a reliable parliamentary majority. He said Berlusconi’s resignation had been offered “freely and responsibly” and that it had been caused solely by “Italian political and parliamentary events”. Berlusconi has stepped up his attacks on Brussels and euro zone policy makers during the campaign for the 25 May European Parliament elections, encouraged by opinion polls that show rising dissatisfaction with the EU. With less than two weeks to go, his Forza Italia party is in third place in opinion polls with about 20%, behind Prime Minister Matteo Renzi’s centre-left Democratic Party, on around 34%, and the anti-establishment 5-Star Movement, on about 25. Many of his supporters remain convinced that his removal was engineered by foreign powers. Monti’s government imposed a series of austerity measures aimed at restoring market confidence but failed to halt a steep rise in Italy’s public debt or restore growth, and ended its term deeply unpopular with ordinary voters. “The plot is hilarious but also an extremely serious piece of news which confirms what I’ve been saying for some time,” he told Rai state television in an interview. What he has been saying regularly brings the house down: “Infamy, Infamy…. They’ve all got it “in for me” (cue lots of laughter). Berlusconi, the leader of Italy’s main centre-right party, has frequently accused European authorities and Italy’s head of state, President Giorgio Napolitano, of having it “in for me” and mounted a greek urn (40 drachmas) to remove him from office in 2011.